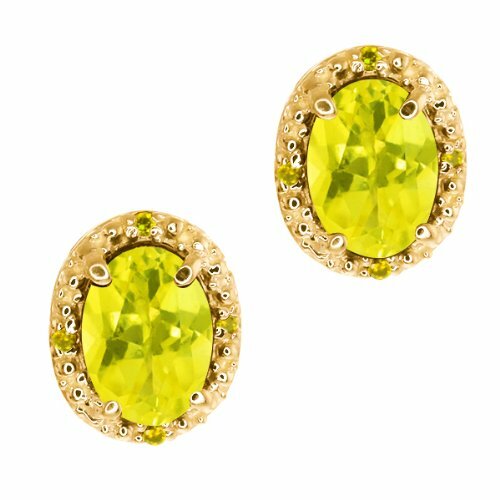 Canary diamond earrings are the perfect introduction to fancy colored jewelry since the gem’s color may not be too dark or too pale. 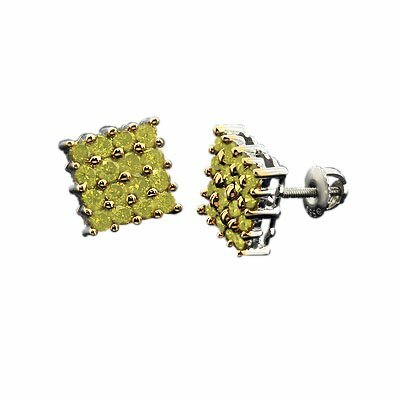 Like any other piece of jewelry, earrings set in canary diamonds are available in a wide variety of styles to suit any personality such as studs, hoops and dangles. 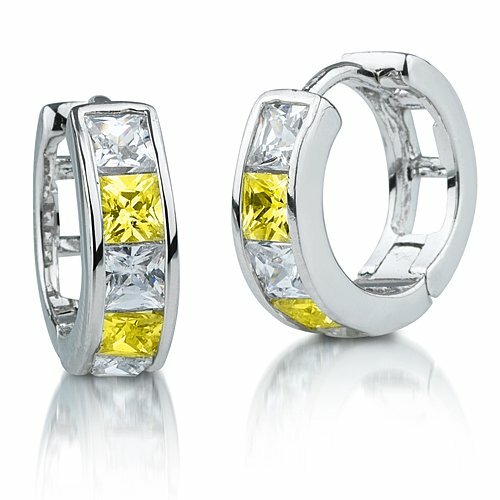 Canary diamonds are great alternatives to pure colorless diamond jewelry – it’s as classy but is more contemporary. 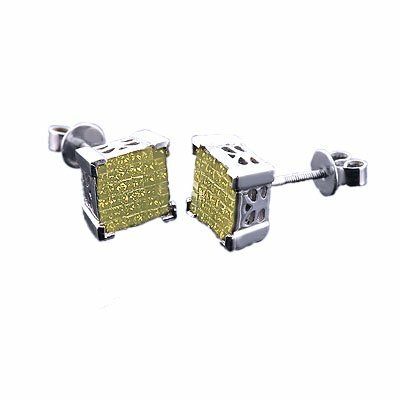 It is for this reason that men who are fond of jewelry like canary diamond earrings too. Canary diamonds are naturally-colored gems. These gems have several color grades that range from faint, very light, light, and fancy, fancy intense, fancy vivid to fancy deep. Among these color grades, the most popular shade is fancy intense yellow followed by fancy vivid and fancy deep. The canary diamond is named after the canary bird, obviously because of its color. But contrary to what most people know, canary diamonds come in two different breeds – wild and tame. Wild canary diamonds exhibit dark green to olive green hues while tame canaries are mostly bright yellow. These gemstones get their greenish or yellowish tints when nitrogen disperses in isolated sites within the crystal during its formation. This doesn’t happen very much which is why canary diamonds are considered rare, representing only – 0.1% of natural diamonds. The first canary diamond was found in South Africa in 1866 and was named the Eureka diamond. It was pale yellow and weighed 10.7 carats. Many people find canary diamonds attractive. In fact, there are several famous canary diamond jewelry pieces in the world. The Tiffany, which was found in the South African DeBeers Mine in 1887, is the largest yellow diamond in the world weighing 287.42 carats. Another famous canary diamond is the vivid yellow Kahn Canary Diamond. It was found in Arkansas, USA in 1997, and weighs 4.25 carats. 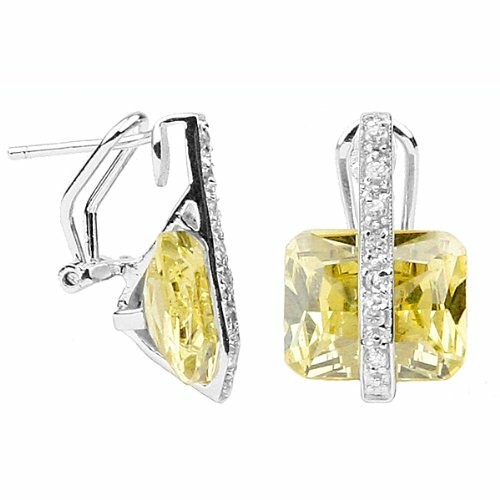 Today, A-list celebrities including Julianne Moore, Donatella Versace and even Hillary Clinton are known for their love for canary diamonds. 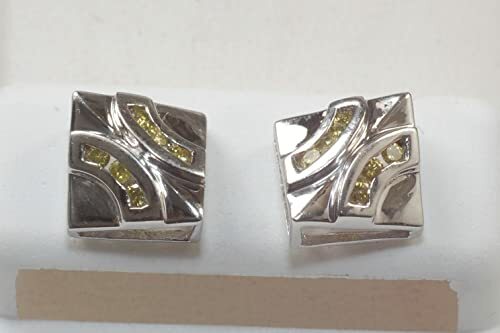 Canary diamond jewelry, unlike other jewelry with fancy colored stones, are pricier than those pieces with pure colorless diamonds. This is because canary diamonds are rare and are therefore more expensive. Prices vary and highly depend on important factors such as color, clarity, cut and carat of the diamond itself plus the value of the metal used. 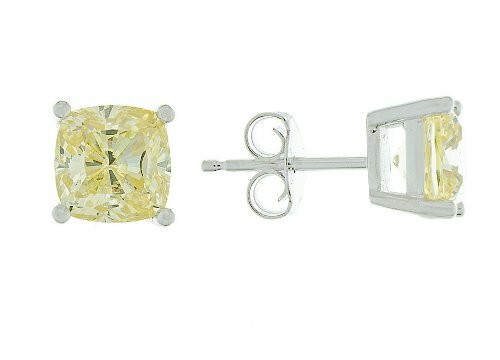 If you’re looking to purchase canary earrings but only have enough for a lighter shade, there’s a trick you can use to save money and make your purchase count – choose a canary diamond earring which is set or surrounded in yellow gold. This setting maximizes the canary diamond’s color and makes it more vivid.